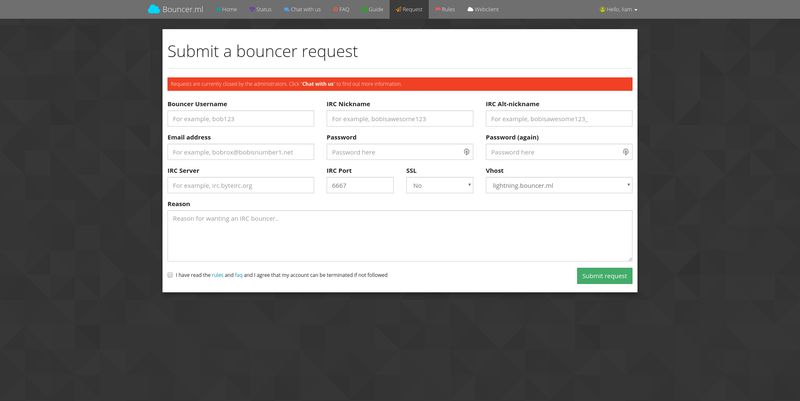 I started Bouncer.ml quite a few years ago (at least 4 years now…). It was quite a large project. I wanted to start with the automation of user signup processes, and allow signups using the website. 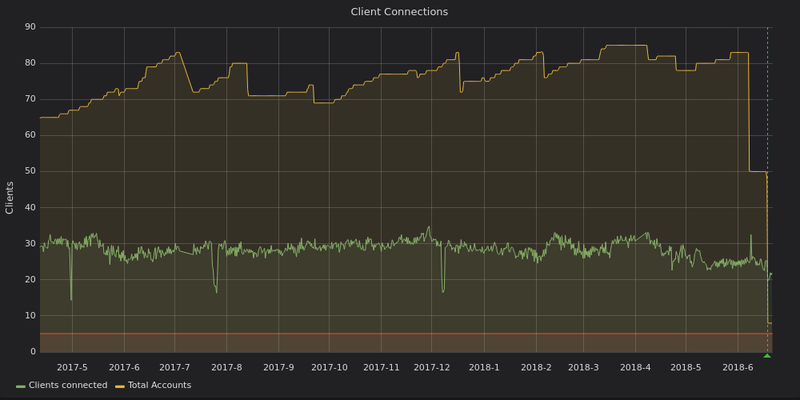 I definitely accomplished that, with a peak of over 130 users on a single node. 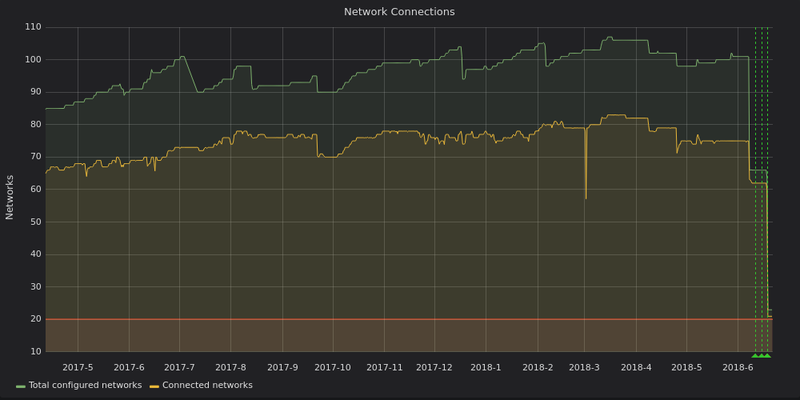 Mid-may last year, I started collecting some statistics of connections, clients, incoming/outgoing lines, and recieved/sent bytes through ZNC. Below are a few snapshots of those stats. Although I didn’t collect any during Bouncer.ml’s prime, I think these are still pretty awesome stats. Note: the above screenshot are stats since the last ZNC reboot. about 21 weeks, for IRC… YIKES. A bit older, but shows the average received lines. In short, I’m glad that we had the chance to host so many IRC bouncer accounts for folks, to give more attention to the still thriving IRC protocol. 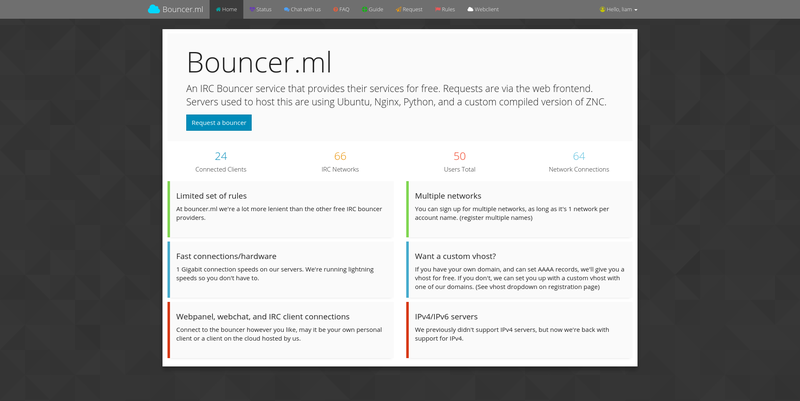 If you want to contact Allen, UclCommander, or I (the original admins of bouncer.ml), you can always find us on https://byteirc.org/ in #/dev/null. Let's talk about GitHub backups!